More people are taking advantage of the various benefits of installing residential solar energy systems as a substitute for electricity. Solar energy is fast becoming popular in domestic and commercial applications because it is safe, clean and cost effective compared to other forms of energy production. The rise in demand has forced companies in solar panel production to come up with new innovations to create products that are more productive and efficient. At Airtech Vacuum Incorporated, we offer stellar vacuum equipment custom designed to meet the requirements of different industry applications. Our products allow solar panel companies to create stellar equipment that puts the market power in their favor. Vacuums for solar panel production appear in different forms. Solar panels need to be encapsulated to protect them from the environment as well as allow panels to tap as much sun energy as possible. 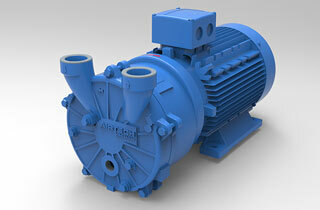 At Airtech, we manufacture liquid ring vacuum pumps and high pressure regenerative blowers to enable solar panel companies to maximize on their innovations. We understand that different solar panels are manufactured to suit different industrial needs. Over the years, our engineers continue working towards improving vacuum pumps for solar panel production to meet different industry applications. Why Choose Airtech Vacuum Incorporated For Vacuums for Solar Panel Production? At Airtech Vacuum Incorporated, we are dedicated to provide our clients with high-end vacuums for solar panel production at competitive prices. We are not just distributors but, we are also a full line manufacturer of a wide range of vacuum and pressure technologies. 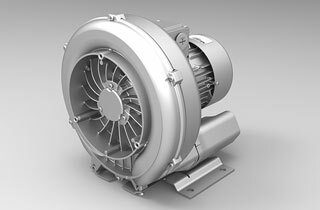 Our engineers partner with our customers to custom engineer vacuum pumps for solar panel production depending on their industrial applications. Since Airtech was established in 1982, we continue to improve our products by incorporating the latest technical innovations to ensure they are effective and productive. If you have any queries about our products, feel free to contact our representatives who will be more than happy to assist you. We apply cyber security measures to ensure that all our clients’ personal data and purchase information stays safe. Our company is ISO9001-2008, UL-, CE-, RoHS-, and CSA-certified so you should have peace mind knowing that our products are manufactured to meet the set standards. Start browsing through our inventory for vacuums for solar panel production and shop with confidence!